Redboard is a proprietary workflow for 3D animation particularly suited to the rigours of television series. Effectivus have been working with its creators at Hibbert Ralph Animation since early 2008. Jerry Hibbert, a 30 year veteran of the animation industry, has directed many animation series and television advertisements. Recognising the need to reduce costs incurred by errors in interpreting storyboards, HRA have developed a CGI workflow which gives directors and commissioning producers the confidence that final media would match approved storyboards. This combines traditional storyboarding techniques with the benefits a true 3D environment and allows exact camera and object positioning to be communicated to the remote rendering company along with the artistic expressions and actions that will bring the animation to life. This increased confidence has allowed the storyboard artists to be more adventurous in their work, knowing that the practical issues of communicating their vision have been resolved. The workflow has enabled considerable savings in the production and reduced both errors and overruns on the latest series of 52, 10 minute, episodes of Fireman Sam. What particularly attracted me to Redboard was that it had been created by HRA to solve both commercial and creative problems. Redboard addresses these problems, but does so within the traditional animation pipeline which is understood across the industry. Carefully focused innovation such as this solves problems without creating a series of new problems because an accepted workflow has been ignored. So often in product development we get carried away and see ways to replace large parts of an accepted workflow. Even if this offers significant benefits it raises barriers to adoption which can be almost impossible to surmount. Not only did HRA, and in particular their visionary head of IT; Neil Marsden and software engineer Danny Van Der Ark, have the sense to only mess with what was broken, they also drove the product forward to improve usability and reliability. 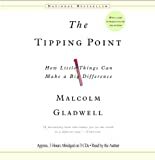 Many organisations that recognise that they can improve a process go for the quickest hack they can in order to achieve some improvement. I know; mea culpa. This tends to leave a legacy of Excel spreadsheets, special scripts, half completed integration, and awkward, non-optimal systems. By contrast HRA have driven Redboard forward to version 6 in four years. Imagine launching a product at version 6, most software companies launch a product before it is even in Alpha. It works, it is proven, it is practical and it solves real problems and delivers real benefits. HRA called in Effectivus to help them introduce Redboard to the market. 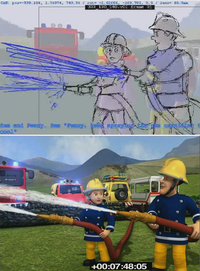 We showed it to a very select group of industry movers and shakers at NAB 2009 and will be launching Redboard at Annecy ’09 (www.annecy.org) in June where Jerry will be giving a presentation on their experience of Fireman Sam. Redboard is a trademark of Hibbert Ralph Animation. This entry was posted in past glories and tagged go to market, projects, Redboard, users. Bookmark the permalink. Redboard is now in use on the latest series of Chuggington at Ludorum. Well done to the team at Hibbert Ralph!